Our Venus itinerary has to be one of the most romantic holidays one could possibly imagine! Starting with quality time to explore the outstanding city of Venice and continuing with a fantastic and relaxing five-day cruise, you'll visit the magical romantic islands of Corfu, Santorini and Mykonos, each one a glistening jewel in the Aegean. To give you a taste of island life, what better destination could be featured than the number one island of Europe, cosmopolitan Mykonos. Here you'll have a chance to lounge on its beaches, try your hand at water sports, shop in luxurious boutiques, and let your hair down at night in one or more of its famous clubs. With three nights in Athens to cap off your holiday, you'll have the outstanding opportunity to thoroughly explore this extraordinary city, the cradle of Western civilization. By now, you've become acquainted with one of the many water taxis and gondolas which form the main transportation grid in this incredible city. A wonderful excursion by water taxi will take you to the colorful and photogenic island of Burano, a delightful place to spend the afternoon. If you prefer, you may visit the glassworks on the islands of Murano. Overnight Venice. After breakfast, you'll have the morning free for last-minute shopping or exploring. After check-out at your hotel, transfer to the port to board your cruise ship for the start of your 5-Day Cruise to the Greek Islands. 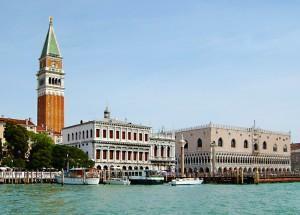 Your ship departs Venice at 17:00. You'll have dinner on board during your sail along the east coast of Italy. Overnight on board. A full day of sailing will give you the opportunity to experience shipboard life. There are so many activities to choose from and endless opportunities for snacks and meals that seem never to stop. If you feel like doing absolutely nothing, pull up a deck chair and admire the view, take some sun and enjoy the beautiful fresh air. You'll find entertainment on board and plenty to amuse you. Overnight on board. 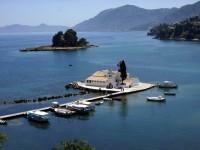 Today, you'll have an early morning arrival at the spectacularly green island of Corfu. There are optional excursions offered for this visit, or you can wander through beautiful Corfu Town and simply admire the magnificent architecture. Since this port call lasts until nearly 15:00, you can even squeeze in a swim at one of the nearby beaches. Overnight on board. 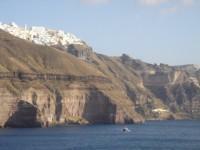 Today you arrive at magical Santorini at around 13:00. You'll have practically a full day on the island, with a late night departure. This gives you the opportunity to join an excursion, or to venture out on your own. Of course, Fira Town is a busy spot, with plenty of shops, but the highlight of your visit will be the simmering volcano and the incredible view. You can opt to go to the village of Oia to enjoy its famous sunset, though anywhere along the caldera edge will give you a magical vista. Overnight on board. This morning you arrive to the cosmopolitan island, and number one island destination in Europe, Mykonos! After a leisurely breakfast on board with a chance to say goodbye to your shipmates, our representative will pick you up from the ship and take you to your Mykonos hotel. With three wonderful days ahead, you'll have an opportunity to experience island life and enjoy the many fabulous beaches of the island. Overnight Mykonos. After breakfast, we suggest that you take a jeep and explore this incredible island paradise. 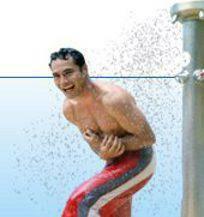 If you're itching to try some water sports, head for Kalafatis Beach, where organized water sports are available. Whichever your preference, Mykonos has beaches for everyone and for all tastes. Tonight, be sure to experience the famous Mykonos nightlife and even do some shopping until the very late hours. This is the island that never sleeps. Overnight Mykonos. After breakfast, join the daily excursion to the Sacred Island of Delos. This historic open-air museum site is one not to be missed. In fact, there is so much to see that one visit hardly covers the entire site, not to mention the fanatastic indoor museum. For a late lunch or dinner this evening, head over to the Point Cafe in Fabrica, where a nice surprise awaits you. Overnight Mykonos. After breakfast, we'll transfer you to the port or to the airport for your departure to Athens. On arrival in Athens, we'll meet you and transfer you to your central Athens hotel. The rest of the day is at leisure to begin your explorations of this exciting, bustling capital. Do spend some time in the pedestranized zone of the Plaka, the old section of Athens, which has an incredible amount of character and color. Overnight Athens. 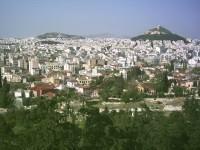 After an early breakfast, start on your sightseeing tour of all of the important sites of Athens City. Of course, no tour would be complete without a visit to the Acropolis and the New Acropolis Museum. After the guided tour, you'll have time to explore the city on your own, or even take our optional evening tour to Cape Sounion. Overnight Athens. Today is your last full day and night in Athens. You have the option to take the one-day tour to Delphi, or to Argolis, or to Corinth. If you need to catch up on your shopping, visit the main shopping area of Ermou Street, or Monastiraki, or even to the chic area of Kolonaki. Overnight Athens. After breakfast, our representative will transfer you to the Athens International Airport in plenty of time for your return flight home.